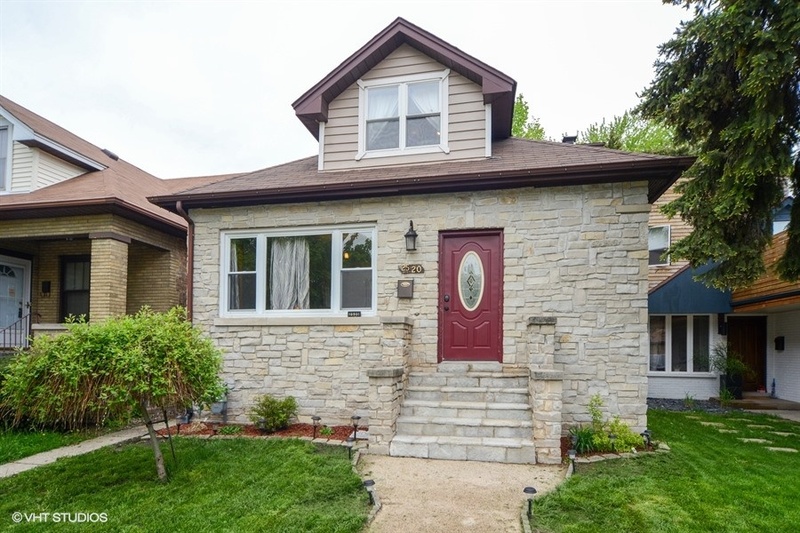 Charming bungalow with double dormers, stone front and stairs. 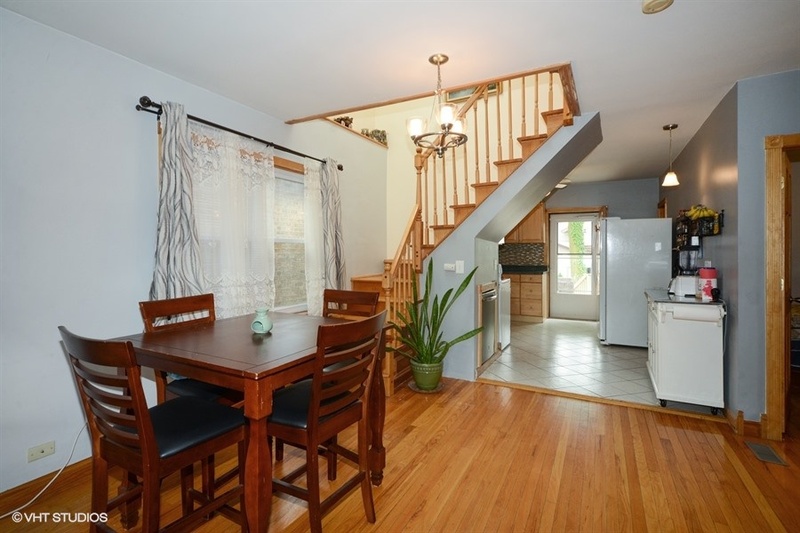 Enter through front foyer into bright, open living/dining room with hardwood floors, lots of natural light, recessed lights, and beautiful wood trim around doors. 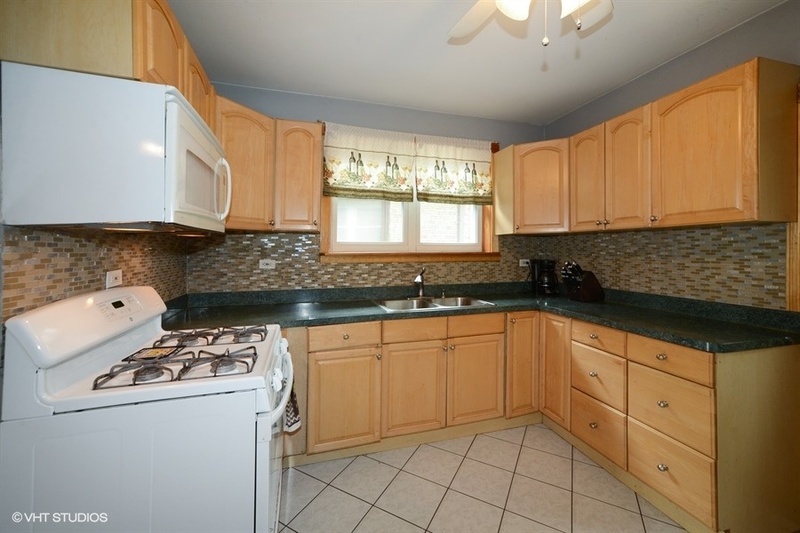 Kitchen sports ceramic tile floor, tile backsplash, wood cabinets and generous counter-top space. 2 bedrooms & full bathroom on first floor. 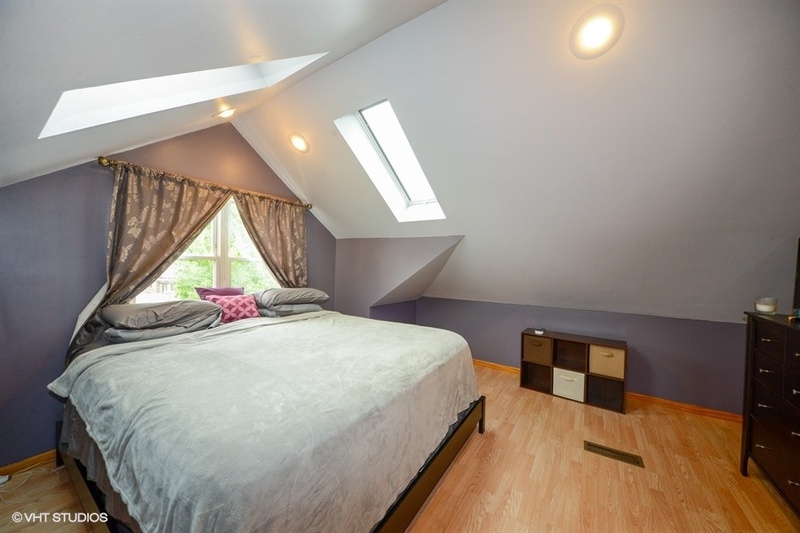 Second floor with large loft, spacious walk-in closet and skylight, bathroom with Jacuzzi tub and separate shower and skylights, 2 bedrooms with vaulted ceiling, skylights and solar blinds for darkening the room. 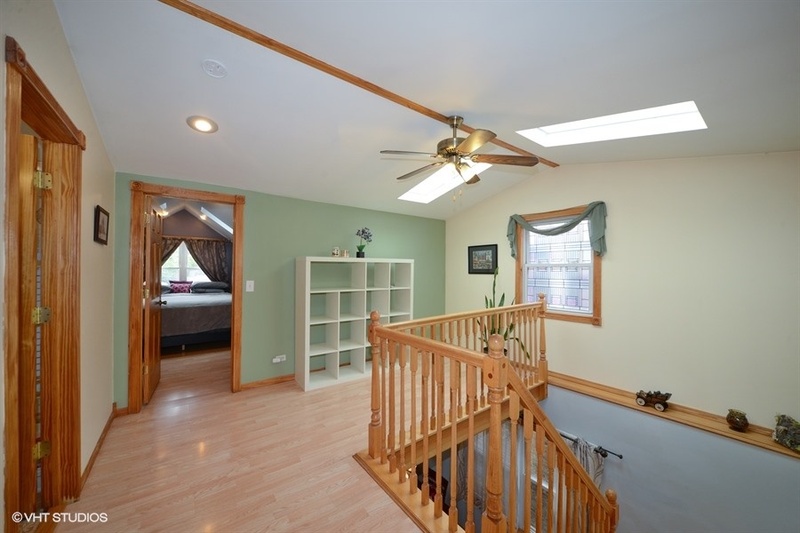 Finished basement with utility room, ample storage, 2nd kitchen, recreation room and bathroom. 2nd kitchen includes electric cook-top, hood, sink, tile backsplash and an attached island with brick base for easy dining. 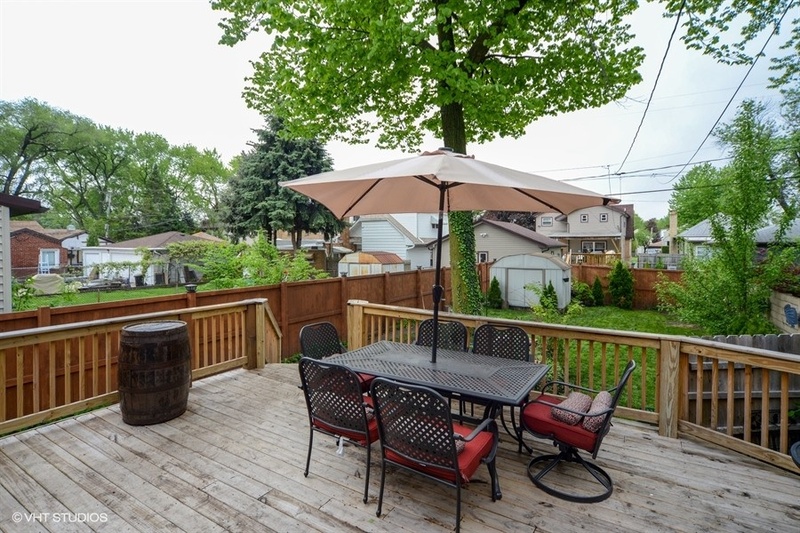 Fenced-in backyard with 2 tiered cedar rustic deck, storage shed and additional storage under the deck. Roof, skylights, deck, tuck pointing and chimney, washer, dryer and dishwasher all new in 2017, and the fence was replaced in 2016. 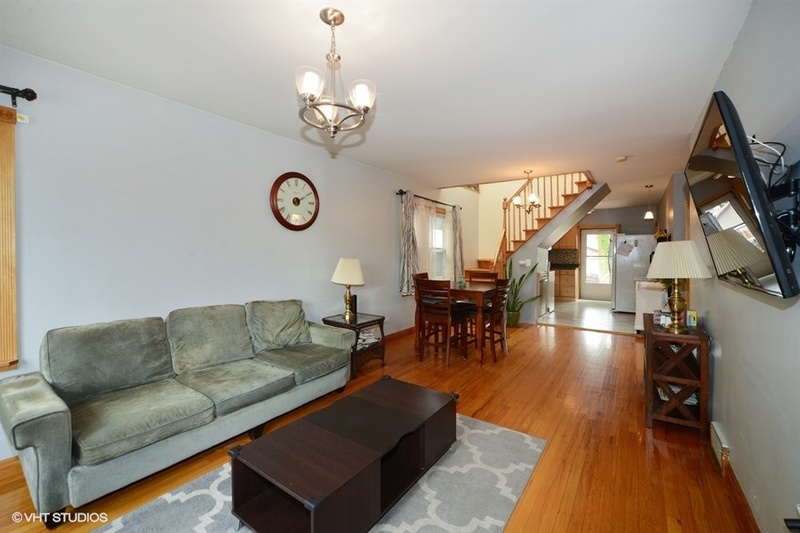 Hardwood floors, spacious open floor plan with front to back views makes this space ideal for entertaining. 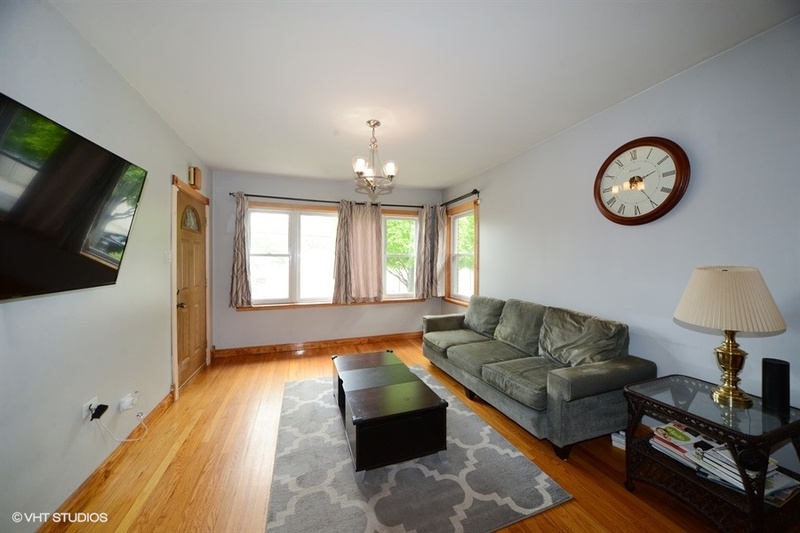 Brightly lit with tons of natural light, hardwood floors, two transitional light fixtures, and beautiful wood trim around the doors. The heart of the home, centered neatly between the kitchen and living room. Ceramic tile floor, stylish back splash, large window over the sink, wood cabinets, ceiling fan with light, and back door to the deck and backyard. 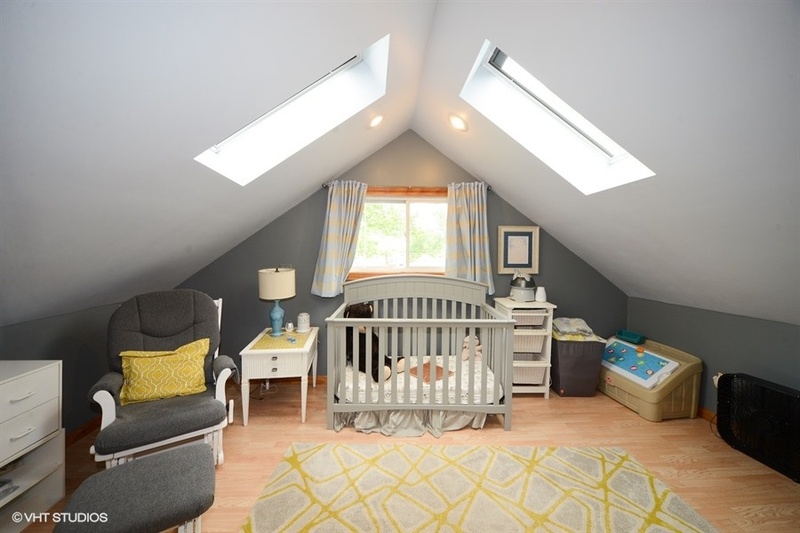 Large, open loft with wood laminate flooring, ceiling fan with light, large window, recessed lighting, a large walk-in closet, and two large skylights makes this space a perfect play area. 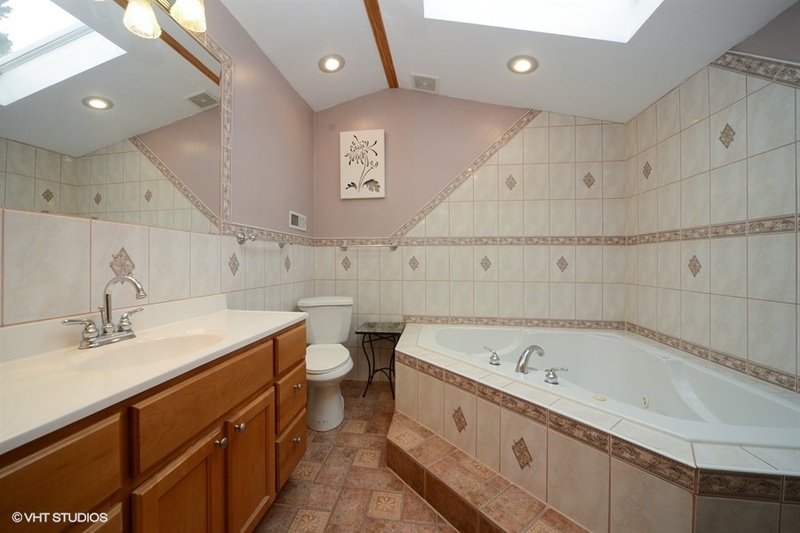 Bright full bathroom with a stand-alone shower, Jacuzzi tub, built-in cabinets, ceramic tile flooring, lots of recessed lighting, vaulted ceiling and a large skylight with solar blind. Wood laminate flooring, tons of recessed lights, closet for plenty of storage, vaulted ceiling, and 2 skylights with solar blinds to darken the room for a good night’s sleep. Wood laminate flooring, recessed lights, vaulted ceiling, and 2 skylights with solar blinds to block out natural light and darken the room. 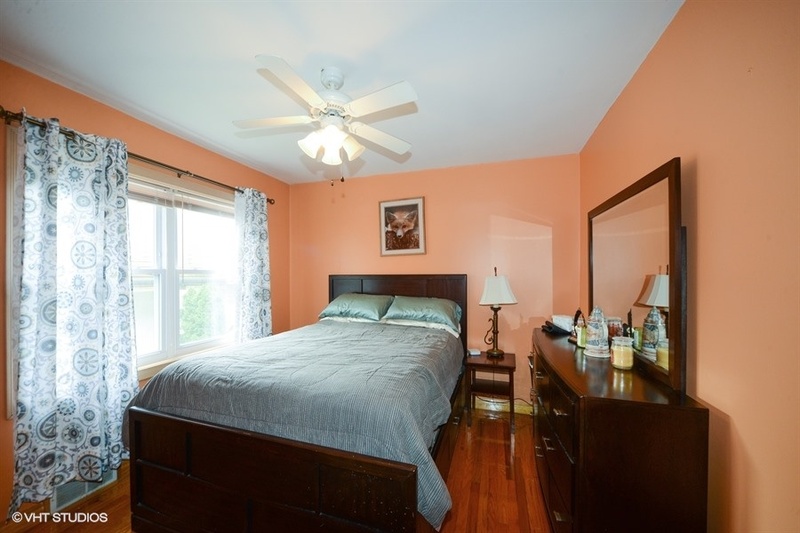 Hardwood floor, ceiling fan with light, and deep closet for storage. 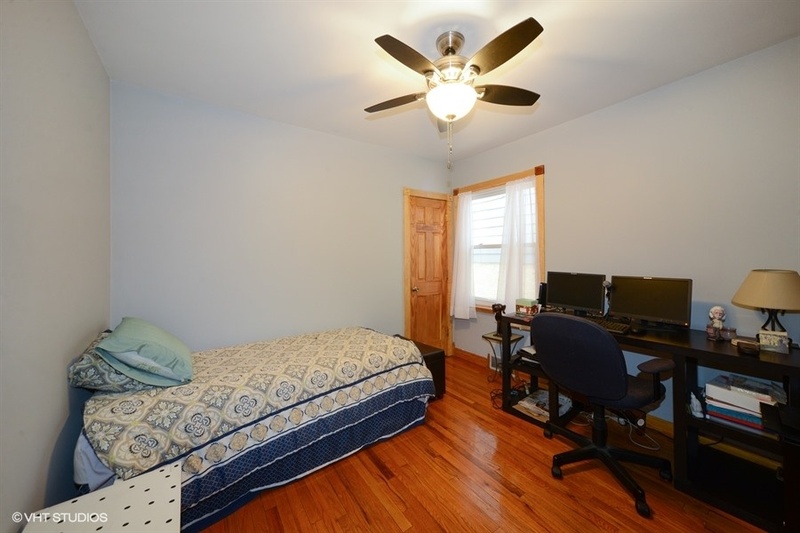 Hardwood floor, ceiling fan with light, and closet. 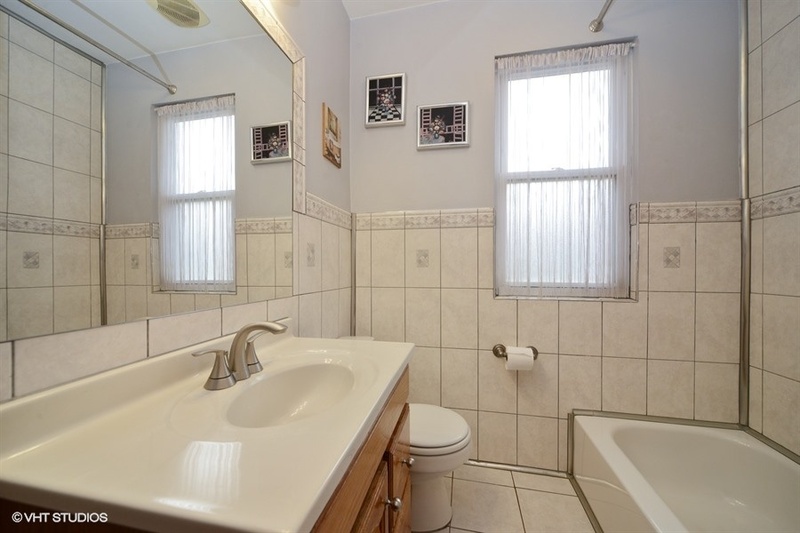 Full bathroom located on the main floor in between the two bedrooms, ceramic tile, window, tub and shower, wood vanity. 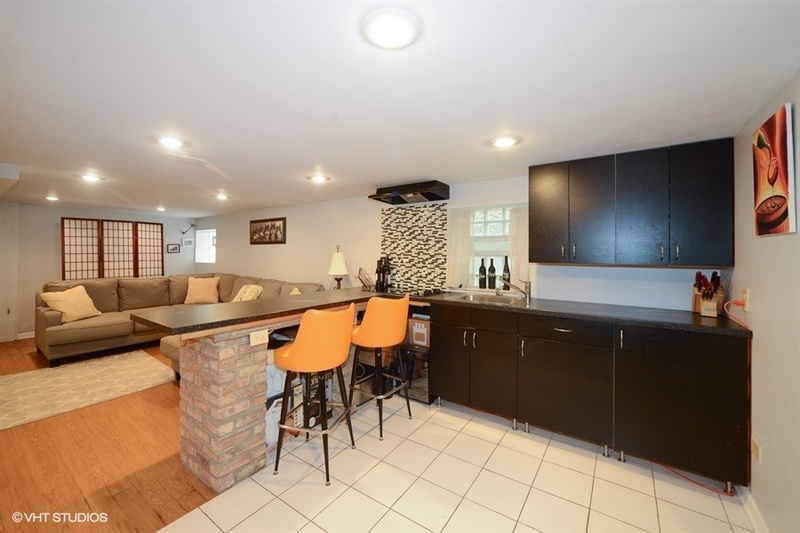 Located in the basement – large counter space, cabinets, tile back splash, cook top, hood, sink, window, and attached island with brick base, a stylish way to entertain guests. 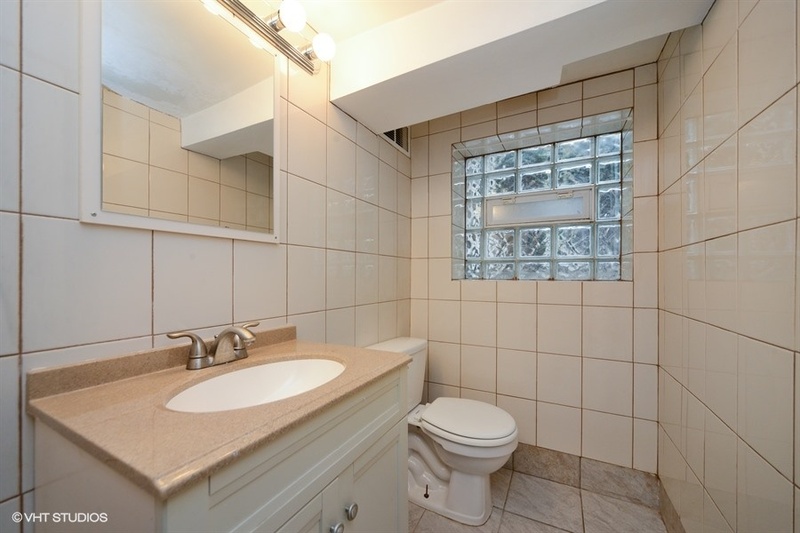 Ceramic tile, shower, vanity, glass block window. Step out onto the 2-tier cedar rustic deck overlooking a fenced in yard with plenty of storage built in under the deck as well as shed.